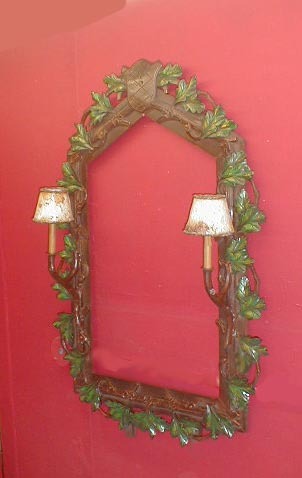 Description: Mirror frame with 2 lights on sides. Stag or other animals not shown in picture. Same as #467.. Resin &steel.